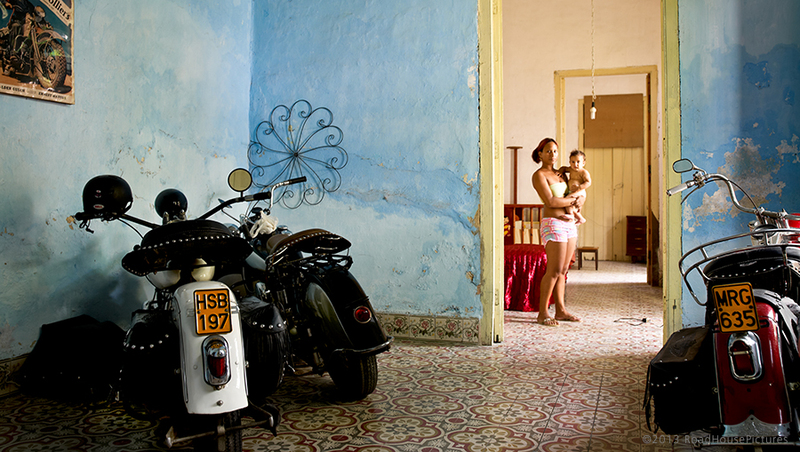 Photographer Gunther Maier sits down and talks with us about his photography book: Harlistas Cubanos. 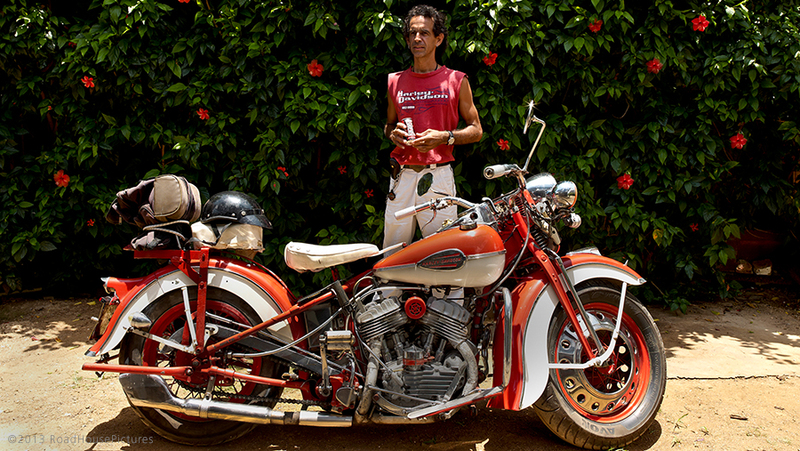 Fascinating story about Cuban vintage Harley-Davidsons and the ingenious owners who keep these bikes running. You have this new book out, can you tell me a little bit about it? It’s called Harlistas Cubanos. 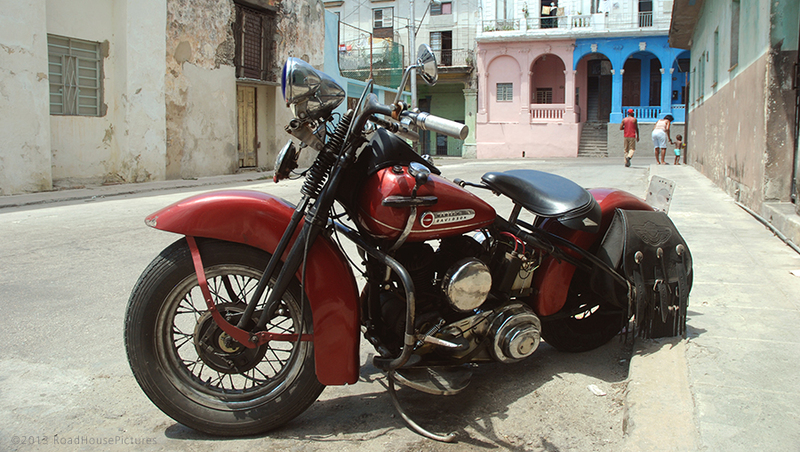 About three years ago I went to Cuba on a humanitarian mission and I got to see all of these old 50s American cars and I came across some old Harleys. In the fifties, before the revolution, Harleys were very popular. 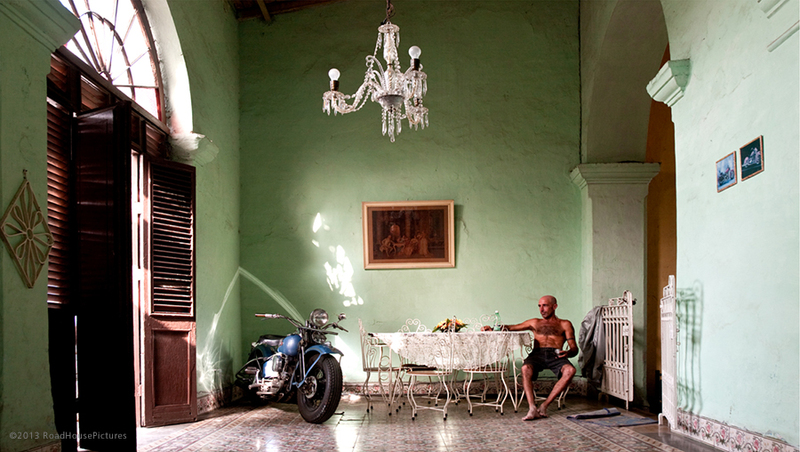 An American icon in Cuba. The police and military had them…after the revolution it became the opposite, they were the symbol of everything that’s evil in America. 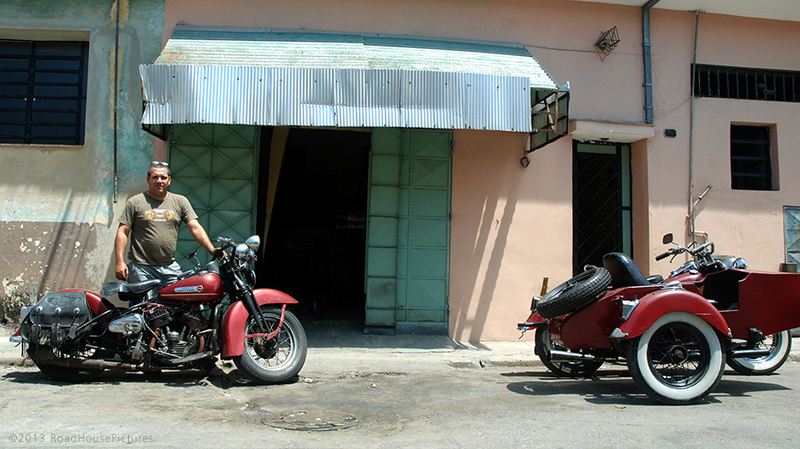 At that time there was only one Harley dealership in Havana, and that closed in the sixties. Because nobody wanted to be seen and have the means of a Harley, so they just declined. There’s even rumors that Fidel, at that time, dug a deep hole and buried between fifty and a hundred Harleys somewhere. People are still looking for this Holy Grail of Harleys. Nobody has found it…maybe it is just a rumor. After the revolution, Harleys are very unpopular and spare parts were basically not available whatsoever. People still need to have some sort of transportation, so some of the guys picked them up again and used whatever they could find to make these bike run again. And we’re talking knuckleheads, shovelheads, and even earlier bikes from the thirties and forties. And so they used all kind of material that they could find…parts from tractors, parts from Russian cars…barbed-wire fences to get the belt going again. You name it – very ingenious. Actually one guy started it all, his name was Pepe Milesina…and Milesina means “he worked with two millimeters of tolerance.” And he started this whole craze of getting the bikes back up and running. After him, a lot of people picked them up found Harleys, they were relatively cheap…for them still a lot of money. But they did whatever they could to keep them going. 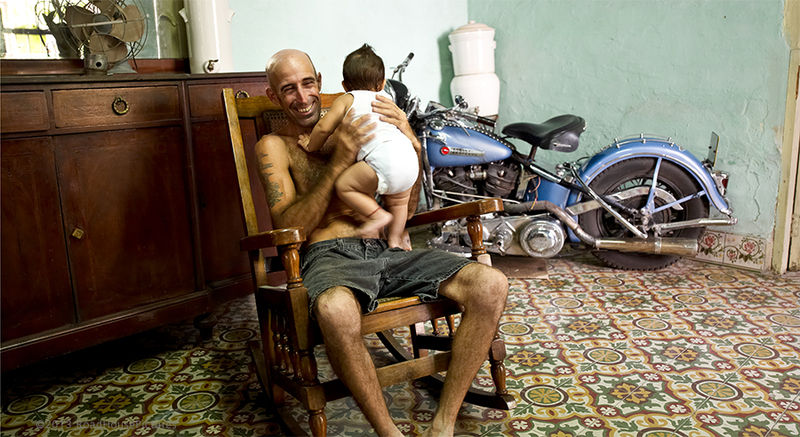 When Pepe died, he’s buried in the Colon cemetery in the middle of Havana, which is a famous place, and every Father’s day all the Harlistas go there in a big procession on their bikes and honor him. 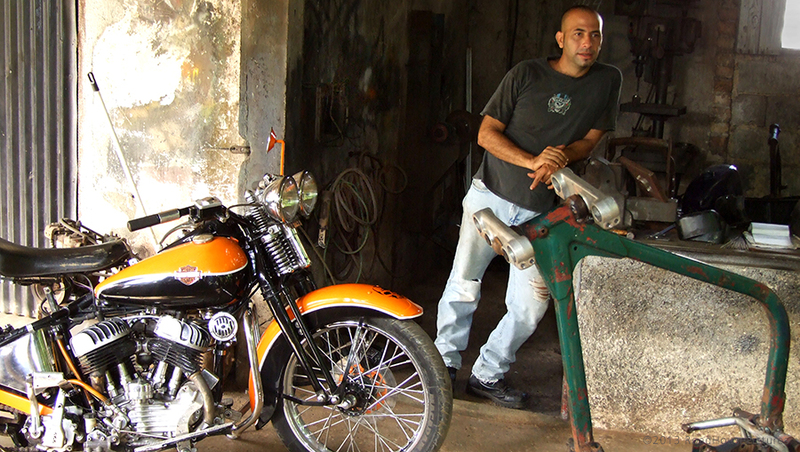 Pepe taught another guy – Sergio Morales – and now he’s the big grandfather of motorcycle mechanics. A lot people go to him for advice. His house is full of spare parts. This has fascinated me so much, I thought it would be great to document these guys and their machines…what they do. And this is what this photo book is all about. 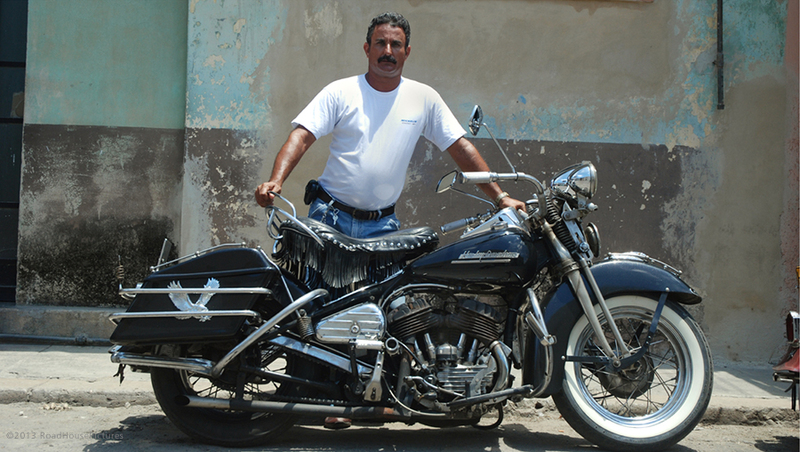 We have about thirty-five Harlistas around Habana. Interviews with them, so you get a bit of insight, where they live…places of work. It’s a 136 pages, full-color printed. 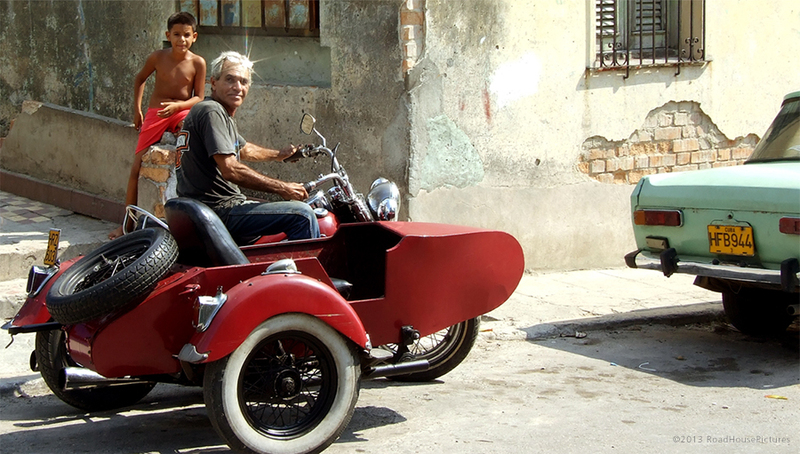 Included in there as a last minute addition is the oldest living Harlista in Cuba. He’s 102 years old. He went in the fifties to Daytona, met Mr. Harley and Mr. Davidson personally. How did you find these Harley in the first place? I’m always interested in old bikes. My bike is an old Heritage Deluxe, and I like the old school look. And when your read about it the Harlistas. Time Magazine has written about Sergio Morales. 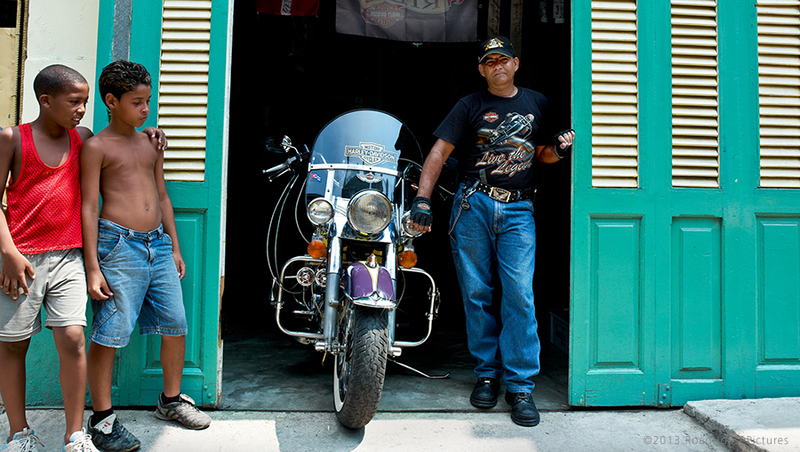 About four years ago Sergio was invited to the United States and he went to the Harley museum in Milwaukee. His name is on a plaque there. So people respect him and recognize him. So I just got interested in his whole story about old Harleys being repaired and being ridden again…and being a status symbol. 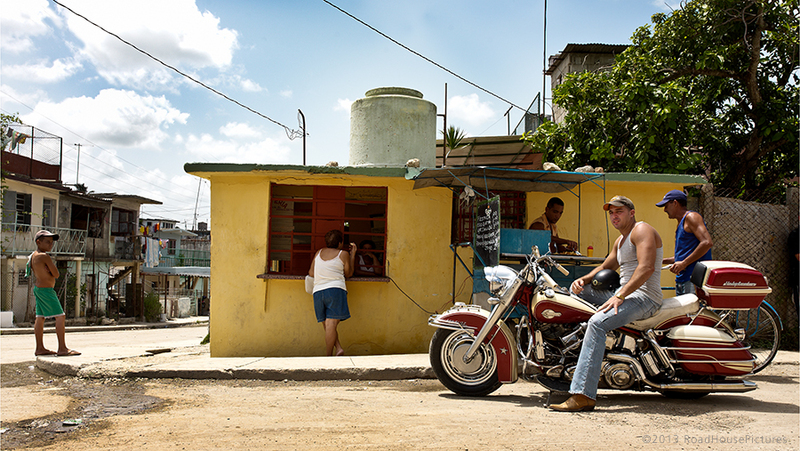 Estimates vary, but they say in all of Cuba there’s between 100 and 150 Harleys left. They’re not totally accounted for. Some of them get sold, take out of the country. People from Europe and Canada are after those bikes because they are very original. So they’re bought up by collectors.